The original Pentax K mount was introduced in 1975 and improvements were done on the monut over the years to enable more and more automations. However, the basic mechanical specifications remain the same which allows a great amount of backward compatibility. Today, even entry-level Pentax DSLRs like the K-m and the K-x provide full aperture focusing, automatic stop-down when shutter is openned and stop-down metering for original K mount manual focus lenses. 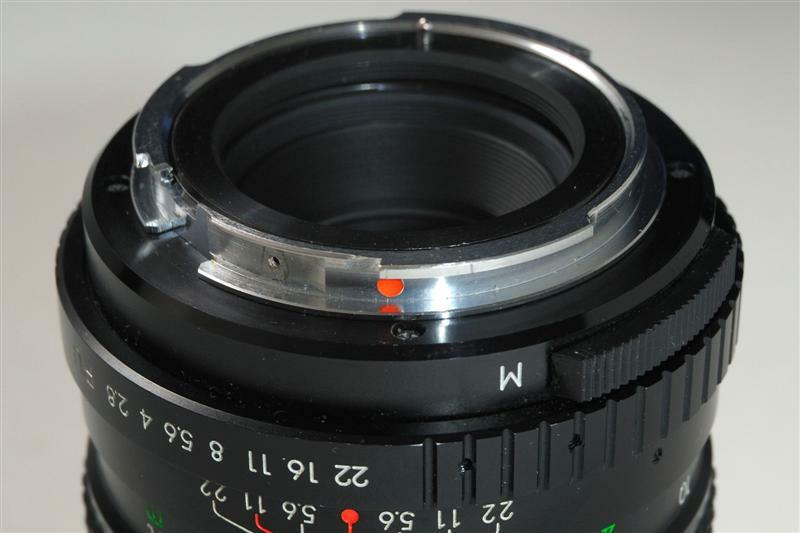 For KA mount lenses (manual focus lenses with “A” setting on the aperture rings), operations remain the same as using AF or digital dedicated lenses, just without the AF. So far, this is the highest level of backward lens compatibility among all 35mm SLR/APS-C DSLR systems I have ever encountered. Moreover, I believe all Pentax APS-C DSLRs provide such backward lens compatibility (if I am wrong about this, please kindly correct me by leaving a comment)! When Pentax designed the original K bayonet mount, it had specifically taken its compatibility with the M42 screw mount (used by Pentax before its K-series and many other manufacturers at that time) into consideration. As a result, the diameter of the K mount is larger than the M42 screw mount and both mounts have the same flange focal distance. To mount a M42 mount lens on a K mount body, Pentax supplies a M42-K mount adapter (as shown in the photo above with its packaging) so that Pentax SLR/DSLR users can use M42 mount lens on their K mount bodies. This adapter is still being sold by Pentax on their web store today! According to the instruction sheet supplied, to mount a M42 mont lens on a K mount body, the user need to install the M42-K adapter onto the body first (as shown in the photo above, note that it also shows the relative sizes of the M42 and K mounts). The user then mount the lens onto the body. After focusing and composing the picture with the aperture fully openned, the user needs to stop down for both metering and taking the shot. Thus, it is not really suited for anything other than static objects. If there is a M/A switch on the lens, it should be set to “M” so that the stopdown pin will have no chance interfering with the operations of the camera body. 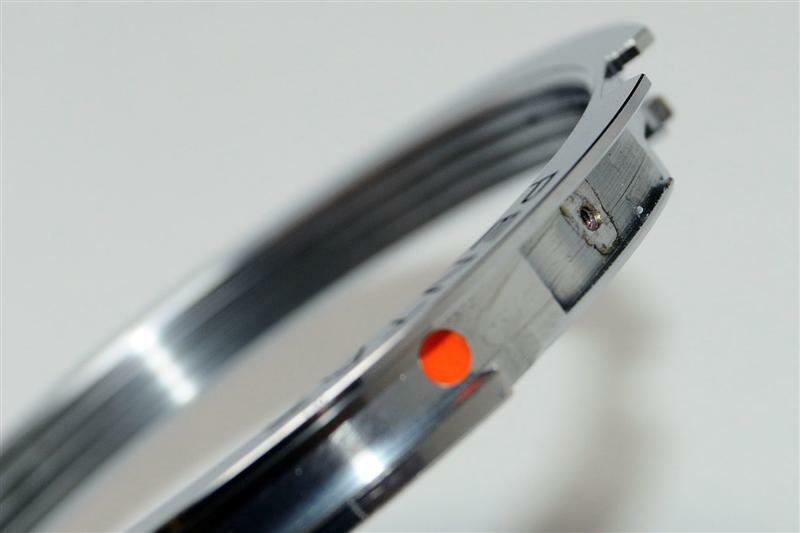 When the lens is removed, the adapter will stay on the body because there is a locking metal plate on it. Pentax suggests using the tip of a pen to unlock the mechanism in order to remove the adapter from the body. To me, the above “official” procedures are too time consuming and troublesome especially I will not be carrying both a K mount body and a M42 mount body to share a M42 mount lens at the same time. So, in order for the adapter to stay on the lens when it is removed, the locking plate on it is removed (as shown in the top photo below). In other words, the M42 mount lens actually becomes a K mount lens (second photo below with lens diaphragm operation set to “M”). The disadvantage of doing this is the lens+adapter combo will not be “fully locked” on the body because of the locking plate on the adapter being removed. However, so far I have not had any accidental “drop” of the lens from the body as it actually takes almost a full turn for the lens to be removed. I bought my M42-K adapter from a local Internet classified. It is not cheap (only slightly less than buying new + shipping from Pentax) but it enables me to use my Praktica 135mm f2.8 on the ME Super and save me the extra money to get a K mount telephoto prime. There are third-party M42-K adapters available and they all require a special tool supplied to remove the adapter from the body (not simply the tip of a pen like the original Pentax one). I have also heard horrible stories about adapters being stuck on the bodies. This is extremely dangerous especially for a DSLR with all the delicate electronics built around the lens mount. Thus, I would strongly suggest to get the original Pentax adapter although it is usually out-of-stock on their website and it takes patient to search for a used one. This entry was posted in Flashes and Others. Bookmark the permalink. Hello I am a novice photographer. Was wondering I came across this lens that I wanted to use . I thought it was a m42 but when I placed my adapter on it .the screw mount seems a bit bigger then the m42 any ideas? Hard to say without knowing what lens it is…the first possibility that came up to me would be you have a T-mount lens which is also 42mm in diameter but has different thread pitch.